* The quality and availability of the wood used. 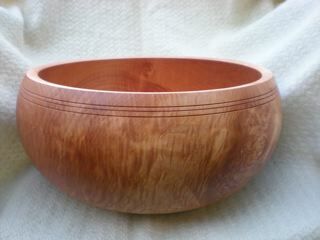 About 70% of the wood I turn I purchase because it has very unusual grain patterns. 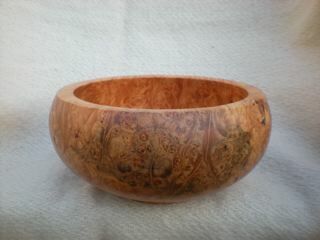 For example, to find and purchase material in Maple Burl or Redwood Burl with proper integrity to make an 18 x 7 bowl is very difficult and expensive. * Size of the bowl blankmore material costs more. * Time to machine and sand, and total curing time. Wood with swirling grain patterns is unique and beautiful, but much more difficult to shape with a flawless surface. Woods such as Walnut take longer to cure completely. * General market guidelines for this type of craft. * If you would like to make an offer of a different price, while assessing the factors above, I will carefully consider it. 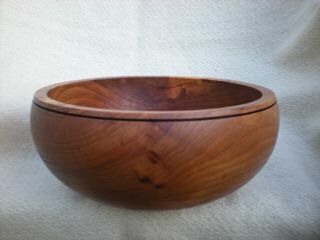 To make an inquiry or to order a bowl, please use our online Customer Contact Form.